Dependable 79cc, air-cooled, 2-stroke engine with automatic oil injection. Primary kickstarting allows in-gear engine starts. 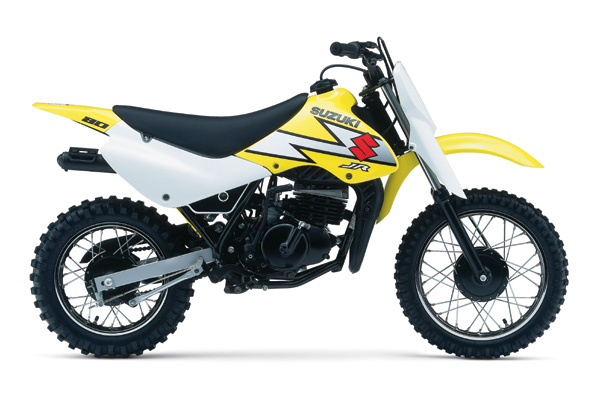 Sleek bodywork styled similar to RM motocross models with new-generation RM-yellow color and graphics. Smooth lines from the fuel tank to the rear fender give the rider greater mobility and a comfortable seating position. Front fork guards are integrated with the front number plate for a more updated look. Suzuki single shock rear suspension with 5 load settings and box type swingarm.